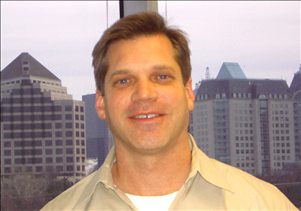 Mr. Bergen specializes in the chemical and mechanical technologies within his patent practice. His experience in the chemical arts includes polymerization technologies, aromatic alkylation, petroleum refining, chemical fire retardants, oil and gas well production and treatment fluids, electro-conductive polymers, drug formulations, refrigerants and halogenated compounds, cosmetics, and various composite materials. Within the mechanical arts, his experience includes, among other things, material handling and processing equipment, oil and gas well tools, heat exchangers, pumps, compressors and fluid transfer equipment, medical devices, agricultural and automotive machinery and equipment, personal care and beauty products and sports and recreational equipment. Mr. Bergen also has experience with Internet and cyberspace related technology. His legal practice includes patent preparation and prosecution, trademark registration procurement, patentability ("novelty") opinions, infringement and right-to-use opinions, intellectual property disputes, trademark availability opinions, intellectual property audits, due diligence evaluations in intellectual property transfers, trademark cancellation and opposition proceedings before the Trademark Trial and Appeal Board, drafting contracts and license agreements, international patent and trademark filings, and client counseling and advising on these and other intellectual-property-related issues. Mr. Bergen began his legal career at the law firm of Felsman, Bradley, Gunter & Dillon, LLP, an intellectual property law boutique. He also worked as a process engineer at Solid State Circuits, Inc. prior to attending law school. Mr. Bergen is a member of the U.S. Patent Bar and a member of the Texas State Bar. Contact Grady Bergen to schedule a confidential consultation.